Flat Out Fabulous is part of the Retro Matte Collection inspired by Ruby Woo. It's described as a Bright Plum Matte. This shade looks more fuchsia in bright light, and more purpley plum in darker light. By now, you must know that I have a weakness for these plummy purpley shades. Finish: Retro Matte is the iceberg tip of matte. It can feel too dry after some time, but it never cracks on your lips. Lasts for hours and hours, and leaves a rich stain behind. Not only that, it's the most opaque finish of all, one swipe and you're set. My Rating ~ ♥♥♥♥♥ 4.9/5. What do you think? Flat Out Fabulous or not? Wonderful color!! Wish I could pull off such a bright purple-toned color. 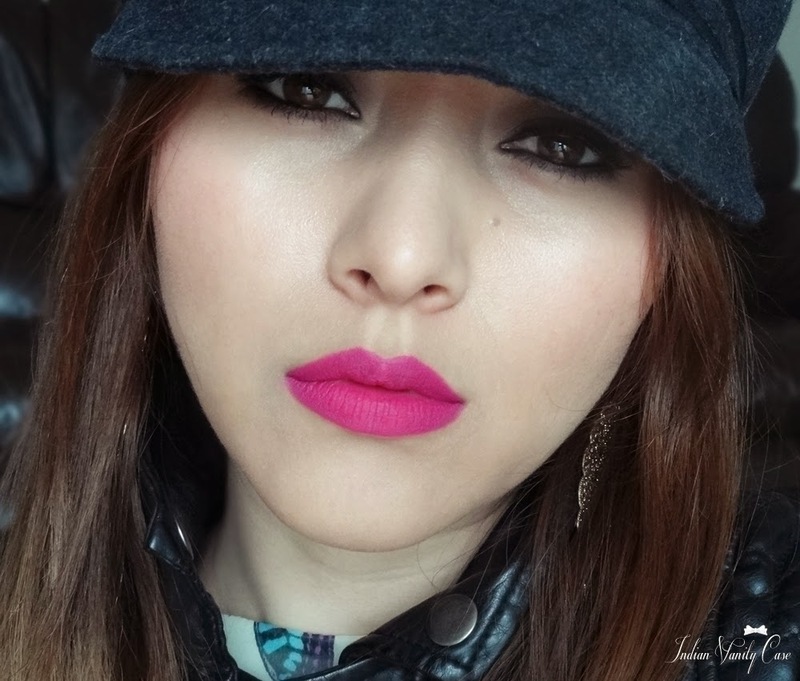 I love fushia shades that lean towards pink rather than purple usually but this one looks great. Awesome. I want one too. OMG it's so bright and neony that I need sunglasses or something lol. Love the shade! I hope these launches soon in India. Looks great on you, so effortlessly chic :D.
Love it you look stunning! Flat on u for sure !! I mean the hindi slang one :p Looks awesome on u ! I am surely getting this.. Certainly flat out fabulous! 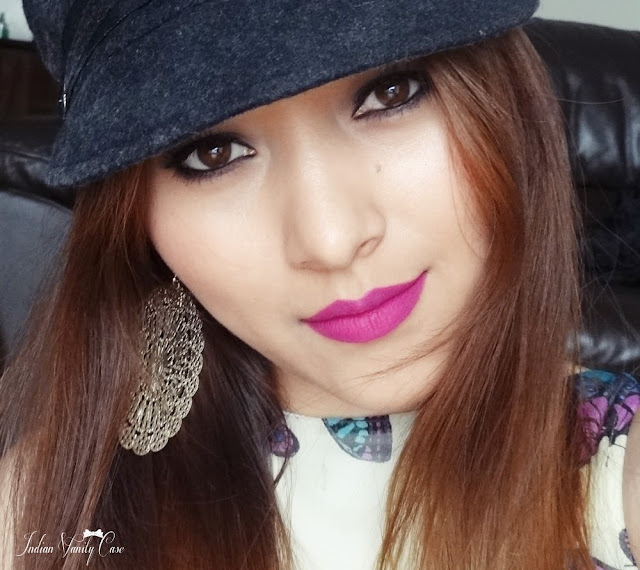 As much as I love seeing bold lip colours on others I don't think ican ever pull them off. I am definitely a lustre finish person! 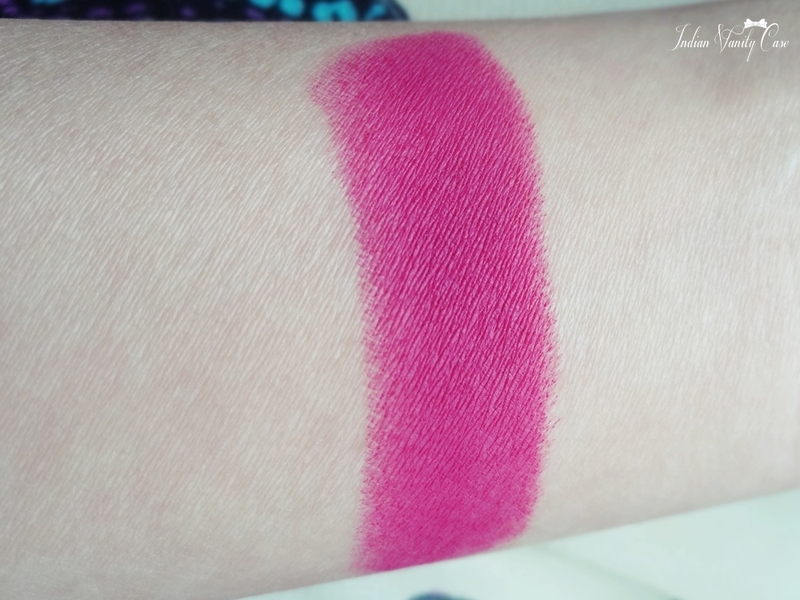 Great pics.. How close is this to Infinitely Fuschia from the Maybelline 14 hour super stay range? Lovely shade this is! Definitely a flat out fabulous! Omg! Such gorgeous-ness.! As always stunning pics and a more beautiful you!looks awesome on u? You look gorgeous! So is the colour! That shade looks amazing on you! So beautiful! I wore FOF the other day for the first time and it's my HG bold bright lipstick. I aggree with you in every way.